1 Blemished Available: $439.20 This item is available as a Blem/Refurb. These are items that cannot be sold as "New" merchandise and are limited to stock on hand. See the product details for a description of the product's condition. I really wanted this helmet and as a new rider I loved the idea of being able to get something with integrated bluetooth for communicating with friends while riding. Following the size chart it looked like the XXL was the answer for me. Just to to make sure since I haven't worn a helmet for any length of time I went to a couple of local shops and tried on a few different brand helmets and all of the XXL fit my head as expected. Revzilla promptly delivered my order and I quickly pulled the helmet out of the box to try it on. As expected it fit well according to the size chart but I noticed that when I closed my jaw my chin was touching the inside of the helmet. I didn't think that much of it until I got out on my first all day outing and realized I just made a very expensive mistake. After just an hour or so I was extremely uncomfortable to the point that I went right to a local shop and bought a new helmet. I'll hold on to the Sena just in case I need a backup or have a friend (with a slightly smaller jaw) that needs to borrow it. Helmet felt great other than the jaw line, sound was very good and ventilation was okay if a little on the warm side. Wonderful concept, but it all end there. I was hoping this helmet would obviate the need for ear plugs, but no way.Even with ear plugs, it is ho-hum. 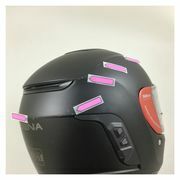 I did a head-to-head test (same day, same course, same conditions) between the Schuberth C3 Pro, Shoei GT Air and the Sena Momentum INC helmet. 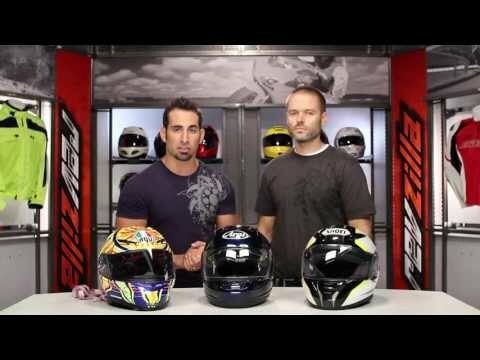 The Sena did not even compare to the Schuberth or Shoei, in terms of wind/noise protection. I really regret shelling out the cash for this one! Had this helmet for two months, overall didn't use the features much, but they were good when I used them. The INC and ambient work fine, but the entire left side of the helmet decided it wanted to no longer function, all 3 buttons no longer work. It says that it is rated for light rain, and I was only outside with it once when a light shower came down, but since then the left side no longer works. A fatal flaw if you ask me. It was not my choice for a chance rain to come down when I was outside, but it should be able to survive at least one... right? Bought this helmet so that I would not need ear plugs. Unfortunately, at Highway speeds during long trips there is little benefit. The air flow was disappointing and I needed to crack the visor. Helmet seams like a great idea. There is no difference with inc on or off. It does not appear to be any less noisy than any other helmet I’ve had. Have called Sena three times now as it does a high pitch whistle that goes away when you reset it. Really wish I hadn’t bought through revzilla. 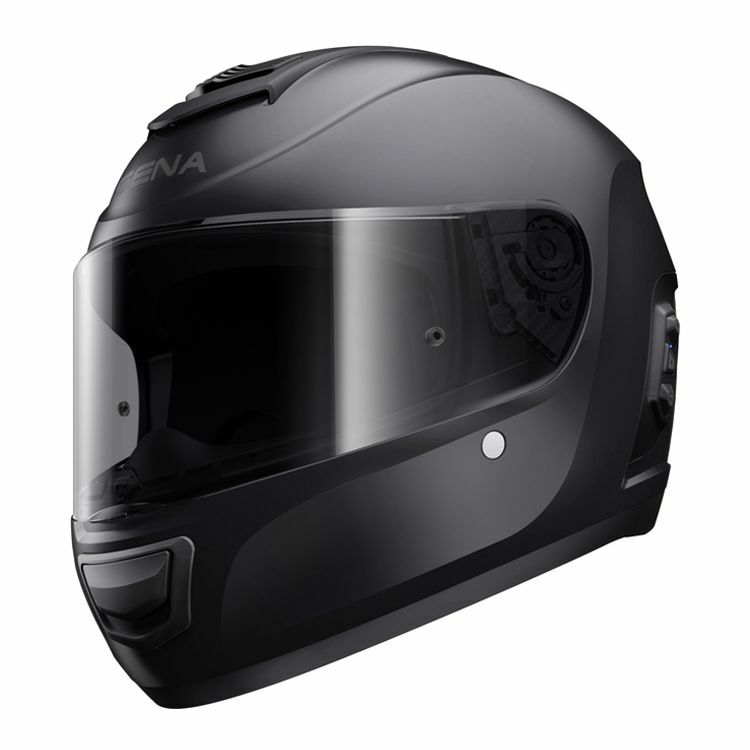 If you want the helmet buy from Sena they have 30 day return on them. I want to start by stating I do not own this helmet yet, I do plan on buying one soon. However, I wanted to address everyone bashing the noice cancellation. I'm sure a company like sena could have very easily made it cancel all noise, But I personally think it was smart of them to leave some noise coming in. Riding a motorcycle is inherently dangerous. and being aware of your surroundings is very important. The last thing you want is for someone to be trying to warn you about something by honking their horn, and you never hear it. dulling down the wind noise is great, but you never want to be completely deaf while riding a motorcycle. Like several others posted, the noise cancelling is marginal. My Bose aviation headset is dramatically better and my cheap Sony headset is quite a bit better (but not equal to the Bose headset). The helmet is quieter than my Nolan and HJC without the INC turned on, so if they upgrade the firmware to improve the INC, I would be ecstatic about the helmet. The chin strap is a D-Ring and takes some getting used to. Removing glasses to put-on or remove the helmet is required. I do like the helmet and the music is dramatically better than my Scala intercom. This value of being able to hear music and have the integrated phone and intercom is the value of this helmet. This is being returned as I type. The Intelligent Noise Control is very much absent from the INC name of the helmet. While riding, toggling the INC on/off doesn't change a thing when it comes to wind noise - or other noise for that matter. Really not worth paying extra for a feature that simply does not function as advertised. Better off with a BT only helmet or accessory. I'm just going to comment on the active noise cancellation tech, as that is the only reason to get this helmet over the rest of the Momentum line (which have been reviewed elsewhere). I've now had two days with this helmet, riding in a variety of conditions and speeds. My baseline for comparison is a C3 Pro with either Bose noise canceling earbuds or foam earplugs, and using a touring windscreen. The short version is that the noise cancellation is disappointing. Is it noticeable? Sure - it's quieter than any naked helmet, albeit not by much. Is it enough to do without other forms of ear protection while on the freeway without risking hearing damage? No. Sadly I think that is what it comes down to. Since you have to wear earplugs anyway, there is no reason to buy this helmet (unless you want to be super paranoid). The tech will improve with time just as ANC earphones did, but as a first effort this is unfortunately not viable as a standalone option to protect you from tinnitus.